If you’re into small dogs, a Shih Tzu Chihuahua mix may be the ultimate expression of size and cuteness. But while the look of the so-called Shi Chi can warm your heart, there are several things you should know about the designer dog before you bring one into your home. While there’s not a pinpointed origin date for the Shi Chi – something that's usually the case with designer dogs – it's thought that the breed was first developed within the last ten years. Considering the hybrid's small dog bloodline, it's fair to say the reason these pooches came to be is to pull on the heartstrings of small doggie aficionados. They do indeed pull, and rather effortlessly. Physically, these little guys strike an ideal balance between both breeds, which ends up giving them a broader range of size that you may think. While they average 10 to 12 inches in length, a Shi Chi can be as tiny as 5 pounds or as “large” as 18 pounds. The Shi Chi will typically wear a coat that borrows heavily from the parental breeds’ DNA. Their undercoats tend to be short like a Chihuahuas, while their topcoat is usually wavy, soft, and medium to long in length. That said, it is possible to get a Shi Chi whose coat leans closer to one breed. The Shi Chi’s coat also comes in a wide range of colors. While a white base with tan markings is the most common hue, it’s completely possible to have cream, black, or brown hues manifest. The coloring will be determined by parental-breed related genetic influence. Genetic influence also plays a role in determining the dog’s facial features. The designer dog can have pointy, erect ears like a Chihuahua, or they can have floppy hanging ears like a Shih Tzu. The head itself tends to be the one part of the dog that has a strong breed-specific influence, as they tend to have a rounder head like a Chihuahua. What’s a Shi Chi Like? Because the Shi Chi is a newer dog, it’s important that you take a look at the breeds that make up the hybrid’s bloodline to get a bead on its personality. Fortunately, the two breeds that make up the Shi Chi have quite a few common traits, which may make it easier to determine personality. The Shih-Tzu is one of the oldest breeds in the world, with its origins tracing back to China or Tibet. The breed has always been considered to be a happy little doggie whose main goal is to provide constant companionship. Lively and friendly, they love to be loved, and will try to spend as much time with you as possible. Chihuahuas are famous for their bravado, which is somewhat fueled by their uncanny knack for thinking they’re much bigger than they actually are. When they lower their defenses down in front of the ones they trust and love, they are sweet loving dogs that have no problem seeking out attention. They also tend to make excellent watchdogs. The traits from the parental breeds tend to balance themselves rather well in a Shi Chi. They are spunky, energetic little dogs whose desire to be with you can turn them into a furry, four-legged shadow, even if you’re simply going to the restroom. Don’t take this as a sign of weirdness; take it as a sign that your buddy totally trusts you. While the Shi Chi can be fiercely protective of loved ones like a Chihuahua, the infusion of Shih Tzu DNA has eroded some of the dog’s hard edge off. You may find the pooch to be a bit shy if they aren’t properly socialized. This softness doesn’t correlate to the dog’s talkative tendencies – like a Chihuahua, they do tend to be yappy, especially with strangers. As adorable as the Shi Chi is, the breed is not that suitable for families with young children. Little ones may not be able to comprehend the delicate nature of a small dog, and may end up unwittingly hurting the pet. In some cases, the dog may even lash out as a means of self-preservation. Overall, the Shi Chi is a playful little pooch that will love nothing more than to curl into your lap and snuggle for long periods of time. The good news here is, they’re so adorable, you’ll have little to no problem providing them with what they desire. The Shi Chi doesn’t have to do much to show off its cuteness. As this video shows, all it really needs to do is be present to let you know they’re adorable. Of course, it doesn’t hurt to accessorize your pooch to give them an extra measure of adorableness. What’s the Temperament of a Shi Chi like? A Shi Chi is not as labor intensive from an exercise standpoint compared to other dogs. Usually, you can get away with only 20 minutes of exercise per day, which can be accomplished through short walks or playtime. Because the dog is so small and ideal for apartment living, you don’t need a whole lot of space to meet these needs. These dogs are also pretty smart, which means that they may be able to indulge in some activities that stimulate the mind as well as the body. Games like fetch or flyball are ideal ways to engage your pooch on both fronts. If you do live an apartment without a yard, a trip to the local dog park can help you provide these activities for your pooch. It’s important that you remain diligent in providing your Shi Chi with outlets for activity. Firstly, stimulating their mind and body will lower the chances of you experiencing the kind of mischief that may result in destroyed property. Secondly, the hybrid can be easy to overfeed – they only need 1 cup a dry food daily – so exercise can help them stay trim. Are Shi Chis Easy to Train? The intellect of a Shi Chi can be a bit of a curse when it comes to training. The hybrid has a tendency to let the Chihuahua’s penchant for stubbornness shine through during this phase, and their diva-like behavior could lead you to some serious moments of frustration. So training a Shi Chi can be difficult, but not impossible. Remain patient, firm, and consistent, be ready to administer praise and treats, and above all else don’t let your frustrations show. Doing so may lead the hybrid to assume they’re in control of the situation, which is a big no-no when it comes to bright dogs. What are the Grooming Needs of a Shi Chi? The level of grooming when it comes to a Shi Chi largely depends on the dog’s coat. If the coat’s typical of the hybrid, you’ll need to brush the coat out about two to three times a week. If the coat is longer like a Shih Tzu’s, you can expect to partake in a daily brushing session. Ideally, you’ll give the Shi Chi a bath once a month. You should also wipe the dog’s ears on a weekly basis and brush their teeth two to three times a week. You’ll also need to keep their nails trimmed, although you may want to enlist the help of a professional groomer to complete this task. Are There Any Major Health Issues Concerning a Shi Chi? Because the Shi Chi is perceived to be a relatively new hybrid, there haven’t been any concrete evidence of heightened health concerns. While this tends to indicate that they are a generally healthy breed, it also should be noted that they may be subject to some of the issues typically indicative of their parental breeds. Some of the issues they could inherit from their Chihuahua bloodline include patellar luxation, collapsed trachea, and hypoglycemia. 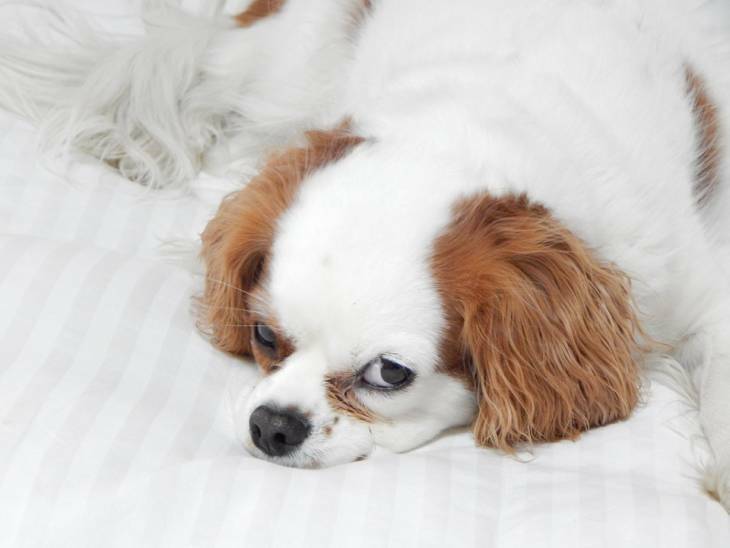 Conversely, issues that may stem from the Shih Tzu include bladder infections, kidney problems such as juvenile renal dysplasia, and various eye issues. How Much Does a Shi Chi Cost? The price tag to bring a Shi Chi puppy home ranges from $150 to $750. This may be a somewhat surprisingly manageable price range considering the breed’s cuteness. However, keep in mind that the hybrid’s relatively new to the scene this cost may increase as the demand for the breed grows. Bear in mind that this range only covers the initial cost, and you should properly budget for all of the other financial fun that comes with dog ownership. This includes things like vet visits, licensing, food, grooming, and more. It’s quite possible you’ll fall head over heels for a Shi Chi just by laying eyes on it for the first time. But the combination of charm, loyalty, and affection that flows from this hybrid pooch means makes their beauty far from skin deep. If you’re looking for a little snuggle bug that will keep you entertained and feeling loved, the Shi Chi may be a perfect dog for you. Long-Haired vs. Short-Haired German Shepherd: What’s the Difference? I am getting a ShiChi puppy on the 25th of this month. I am so excited. I have been searching for all the information I can get. Are ShiChis really energetic? My ShiChi sometimes runs around the house really really REALLY fast and my sister is concerned if it’s normal.